It’s a question I get a lot. I’m answering it for you today so that you can go forward with confidence and select the best nutrition approach for yourself—especially if you’re planning to kick off the New Year with a renewed focus to eat better. 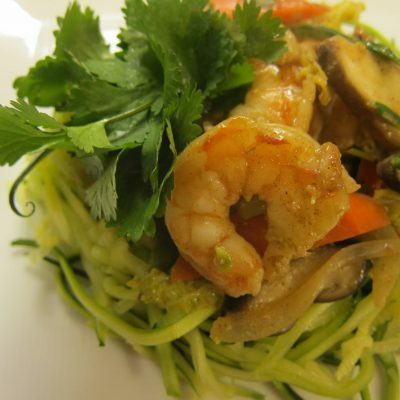 Paleo is a way of eating focusing on real, whole, minimally processed foods. Foods that support gut health, hormonal balance, stable energy, and lean body mass. 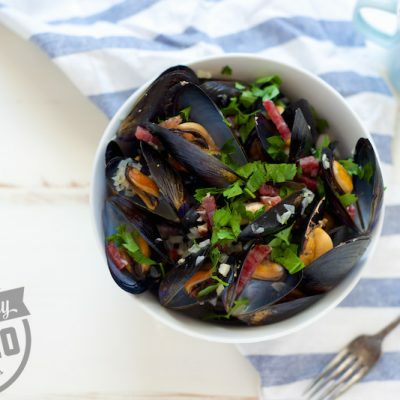 The stars of the show are meat, seafood, and eggs; veggies and fruit; and healthy fats. Most people start with a yes and no list of foods to eat and avoid, respectively. Yes: Meat, seafood, and eggs; veggies and fruit; and healthy fats. Five years ago when I first started eating this way (on January 10, 2010 to be exact), the list of what was and wasn’t Paleo was pretty fixed across the board. It was easy to find a lot of consistency from book to book or website to website. My, my…how things have changed. Now it’s anyone’s guess, especially when every nutrient-poor baked good under the sun and processed / packaged food is now labeled with the “P” word because it’s “technically” Paleo. It’s kind of a mess, especially for newbies. One site says white potatoes are okay. Another says to avoid them like the plague. One book says never, ever salt your food. The world replies back with, “But some salt makes food taste good.” Confusing, right? While a yes / no list is a decent way to start your Paleo lifestyle and wrap your brain around it, it’s no way to live the rest of your life. And, it’s not the smartest idea either. Why? Here’s an example. Athletes need more carbohydrate than sedentary folks. 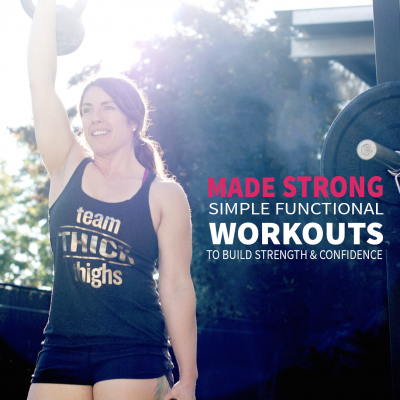 By adhering to extremely low carbohydrate Paleo approaches and training extremely hard, many athletes have gotten into hot water with their cortisol levels, thyroid health, and poor performance (to name a few). Applying one Paleo protocol across the board where everyone eats the same exact thing—with disregard for life context, goals, health history, etc.—can have negative implications over time. Another example. My husband’s been Paleo since 2007, but in the last couple years, he’s battled skin irritation like eczema around his eyes and elbows. Trial and error seemed to link it to certain foods like beef and eggs, but after much research, he narrowed it to a histamine intolerance. Eating a lot of fermented veggies, kombucha, leftover meat, bone broth and even certain vegetables—all foods widely lauded and encouraged in a Paleo diet—actually made his symptoms worse. Long story short, you are an individual and context matters, which is why you need to learn about yourself and your relationship with food. That’s where Whole30 comes in. Whole30 is a month long elimination plan that’s been described more than once as “squeaky clean Paleo.” Dallas and Melissa Hartwig created this strategy to help people learn about their relationships with potentially problematic foods, then develop a plan for which foods to avoid long-term and which to reintroduce. You see, we don’t all react to foods in the same ways. Me? I had a really tough time with sugar. Even after 18 months of Paleo eating, I couldn’t shake it. It consumed me. I wanted to stop eating sweets and craving junk food, but I was stuck. Even notoriously “healthy” foods like dried fruit were irresistible to me. I could slam back a whole bag of Trader Joe’s dried mango in about 10 minutes, then go back for more. In 2011, I did my first Whole30 which required me to cut out all added sugar. (And, I avoided dried fruit because I knew it was a trigger food.) By the end, I had broken the cycle. Something I struggled with my WHOLE LIFE no longer had a grip on me. Was I allergic to sugar? No. Do I have a sugar sensitivity? Maybe, but it depends on how you define that. Did I have a bad psychological relationship with it? Eff yeah, I did. 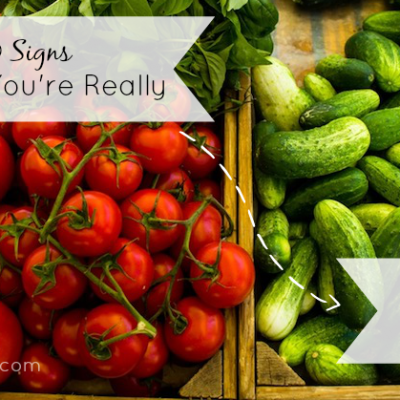 What you learn about yourself during and after a Whole30 might surprise you. So, completing a Whole30 will give you valuable, personalized feedback about which foods affect you positively / negatively, then allow you to make informed modifications to a Paleo approach for life. Sounds cool, right? You get to drive your boat based on how foods make you feel, not because of what some yes / no list you read five years ago told you to eat. 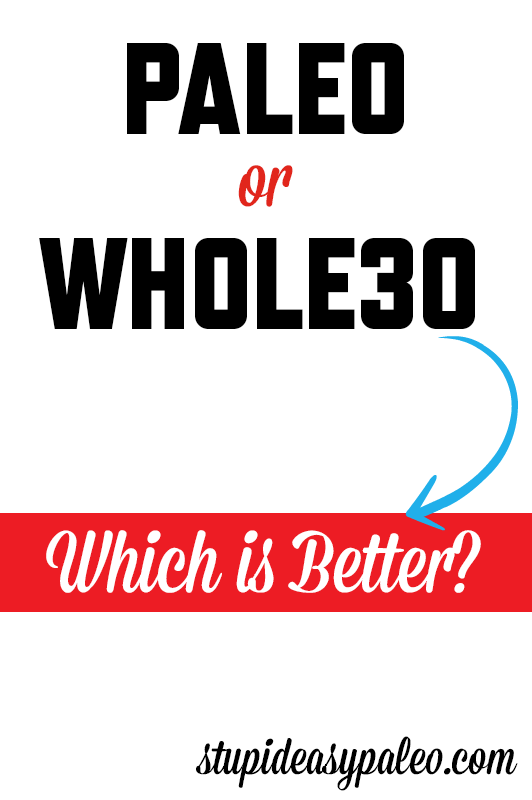 Paleo or Whole30: Which is better? The answer is neither. They’re just different. They both serve their own purposes and have distinct goals. The simple solution: Do a Whole30 at the start of your Paleo journey so you know how to better eat Paleo for life. Paleo is a long-term nutrition and lifestyle strategy where nutrient-dense foods are encouraged, but inflammatory, nutrient-poor foods are avoided. Whole30 is a short-term, very strict program designed to help you learn about which foods may be problematic for you. You can then apply what you learn to a slightly looser, less strict (but very much informed) Paleo approach to eating for life. 1: Get a copy of It Starts with Food. It’s really easy to read, and it’ll set clear guidelines for you. (Plus it has a ton of tasty recipes from Mel Joulwan of Well Fed and Well Fed 2.) No time or dinero to get one? You can read about the program on the Whole30 website here. Not sure if you should get the book? Check out my review here: 5 Reasons to Read It Starts with Food. 2: I’ve tagged every recipe from the blog that’s Whole30-friendly (over 100 to date) for easy searching in the Recipe Index. If it says W30, it’s made from Whole30-friendly ingredients. There are hundreds! 6: The Whole30 forum. A free forum dedicated to all topics Whole30-related. Click here to join. 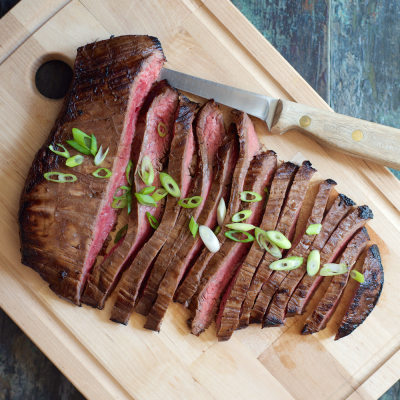 Pin this Paleo or Whole30 post for later. Based on your recommendations, I kicked off my paleo life with whole 30 and it seriously changed my life so much and i learnt SO MUCH about myself, which i am so so grateful for!!!!!!!! Still, always learning about myself, but whole 30 definitely made me realize that my addiction to dairy was the result of my persistent acne! Thank you so much Meg! I’m glad that you’ve been able to learn about yourself and what really makes you tick. Thank you for all your support! Hey, could you tell me more about that histamine intolorance thing? Because I also seem to have it and I wonder if I can get rid of it/make it better while on a paleo diet. He had to do a LOT of research on his own, from different sources all around the internet. It wasn’t easy for him to find and it took a while, but I can suggest this list as a possible starting point: http://whole30.com/downloads/whole30-shopping-list-histamine.pdf as well as this: http://thatpaleoguy.com/2011/04/11/histamine-intolerance/. Based on my husband’s research, he adjusted the Whole9 list a bit, but most of the foods are on there. In essence, if he eats a high histamine food, he has to eat low histamine foods for most of the rest of the day. If he eats too many high histamine foods, it’s like trying to put gas in an already-full gas tank: It spills over and he gets a reaction. There are some foods he has reintroduced (like beef) and some he just 100% avoids, like tomatoes, fermented veggies, jerky and dried meat, fish, etc. So, once you know the foods that are high in histamine or are histamine releasers, you can limit them and bulk up on low histamine foods. It’s possible to do while Paleo but does take some self-education and adjustment. Hope that helps! I would love to hear more about your husband’s challenges and what he did to fix it. I’m in the same boat right now, 2 years in to eating paleo. Thanks for addressing this question and I love how you based your answer on individuality. I struggled with an eating disorder for almost 10 years and decided that 2014 was going to be my year of change. Now being in “recovery” without a single binge for almost a YEAR (!!!! ), I follow a loose paleo regimen that allows for me to indulge in my own vices within reason (dark chocolate, Lara bars, sometimes non-GMO popcorn, and even Chickfila once in a blue moon). I also place no restrictions on vegetables and fresh fruit (some literature I have read restricted fruit, and I found that the more I told myself no, the more I wanted the fruit). I still eat some dairy and protein powder for convenience sake. I also started Crossfit in June. I went from about 165 (my highest weight in my adult life) to about 135-138 lbs. this year. I haven’t lost much weight for the past couple of month but I’ve noticed a difference in the way my clothes fit and my muscle tone. I realized that gluten creates MAJOR appetite stimulation for me, along with occasional pimples and back pain. I can indulge in sugar once in a while, but I know that I will pay the price the following day with increased hunger and cravings along with a minor headache. The fact that I can allow myself to enjoy treats without binging is a big deal for me. This would not work for everyone, but it works for me, and I’m okay with that. I’ll probably never do a Whole30 simply because of the restrictive nature of the program and how I deal mentally with restriction. My perfectionism would take over and I would be left mentally exhausted after the 30 days was up. What suburb timing for this post today! Just got back from vacation and after the holidays my husband and I are planning on doing our first Whole 30! Just wanted to say thank you for the post and resources! Love what you have to say and I couldn’t agree more. I was dx with Crohn’s AFTER starting my Whole 30 BECAUSE my body actually has an inflammatory response to lots of red meat — and green beans! :o/ I never would have known that without that experience…. need to put my boots back on and start over (again)… because the lethargy and brain fog from a poor diet just are NOT WORTH IT! Thanks for all you do to inspire us all! Thank you so much for this timely post! I will start my whole 30 january 1st! I’m a newbie to paleo but have recently become disenchanted with all the marketing of “paleo” treats and baking books that are loaded with sugar and starches… I think things are going awry! This post helps me zero in on “me”!!! We’ll just say that it’s the grandfather of Paleo who says no salt! Been seeing this a lot lately, making the assumption that paleo is just one diet. 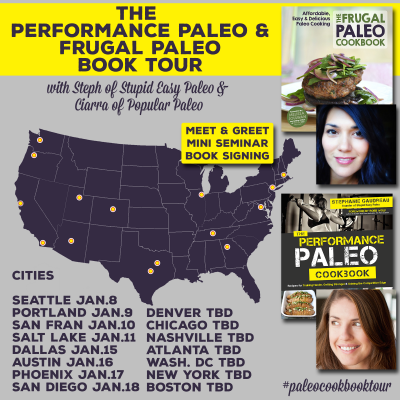 Paleo is a lfestyle that encompasses a whole continuum of diets (in addition to exercise, sleep, and stress reduction), everything from auto-immune protocols and strict Loren Cordain on one end through dozens of variations (including Whole30 compliant) to Ancestral Health and Weston A. Price on the other end. The headline makes as much sense as saying “Rectangles or Squares: Which is Better?” Just as squares are a subset of rectangles, Whole30 compliant diets are a subset of paleo diets. Even on the strict end, paleo is not necessarily low-carb — Robb Wolf point out the Kitavans several times as a classic example of a high-carb paleo approach. Perfect Health Diet is famous for their whole “safe-starches” category (and mentions precisely your point earlier, we need a limited amount of carbs for skin health, mucus production, joint health, etc.) Free the Animal has been getting even more contentious lately with his work and research into resistant starches and gut microbiome. Which in turn leads to SCD, GAPS Diet, and Ancestral Health which all point out that which type of carbs you grab can seriously impact your gut biome for good or bad. I titled it that way because that’s exactly the question people ask me. Dozens and dozens of times, I get asked this question. I’m not being misleading, and I do understand the difference and the subtleties. However, many, MANY people coming to Paleo do not. You are obviously on the more well-read end of things than the average person just hearing about Paleo for the first time. I wish I could show you all the emails I get with people telling me they thought they couldn’t eat any carbs because they are Paleo. Why do you think that people make the assumption Paleo is just one diet? I’m truly interested if you have any ideas because I’m trying to figure out where that comes from. We both get it, but why is this such a huge misconception? I see kombuchu listed as a whole 30 food even though it calls for sugar in the recipe …. Can I drink this as part of my whole 30 program? I ‘m only on day 2!! The bacteria (SCOBY) which ferments the kombucha eats the sugar. I wouldn’t over do it but a glass here and there is full of beneficial probiotics. I just finished my first Whole 30 in early December, and I couldn’t agree with this article more! I taught me so much about myself and my relationship with food. 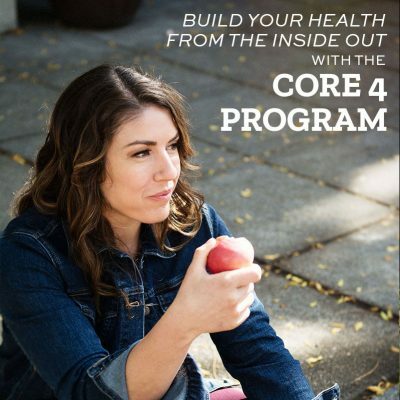 I’d sincerely recommend the program to anyone who is really looking to understand their diet and the psychology around it. I’ll be writing a blog post about my experiences soon, and I’ll link back to this post for sure. Thank you for writing such a clear summary! thank you so much for this post! I went paleo last winter, lost 30 lbs fast, and have regained it all since fall. I spend so much time trying to decide whether to do a whole 30 or paleo, it’s was helpful to see an analysis. I too am such a sugar addict, and am a little scared of giving up my am coffee(s), with milk and sugar…then the mid afternoon coffee break. (And I test sensitive to coffee and Candida). Yes, you can drink coffee on Whole30! Go with the full-fat kind found in a can, not the kind in a carton in the refrigerated section. Just started my Whole30 journey today, and I am wondering about the coconut milk in my coffee. I bought the carton of unsweetened coconut milk…. :-/ ! Is the full fat canned milk just better, or is the carton type completely out? I’ll buy canned next time…. but want to know if I can finish my carton. Thank you! The carton almost always has emulsifiers or additives which are not allowed on Whole30. A year later, but…thanks for this post! I’m leading a challenge group where some are doing Whole30 and the question of, “what’s the difference” got brought up so thank you! I’m really glad it may help some of the folks in your challenge 🙂 I think of W30 as a compass to point you toward the paleo-type foods that’ll be sustainable for years to come. I’d love to know more about your husbands condition and if he has found healing… I have excezma and it seems to flare when I refine my diet to paleo (I eat clean, organic, and 90% paleo.) but mine seems to get worse with fermented foods and bone broth. Have you blogged about your husbands experience? Hi Betsy…I have written a post since this one came out: https://www.stephgaudreau.com/2015/09/26/what-is-histamine-intolerance/. Also, he will be my podcast guest this coming week! Are there advantages of doing the whole 30 over just getting tested for food allergies? Yes. Not all food sensitivities will show up on a skin allergy test. I love this post and couldn’t agree more! I can totally relate to the addiction to sugar; however, you’re ahead of me in that one. 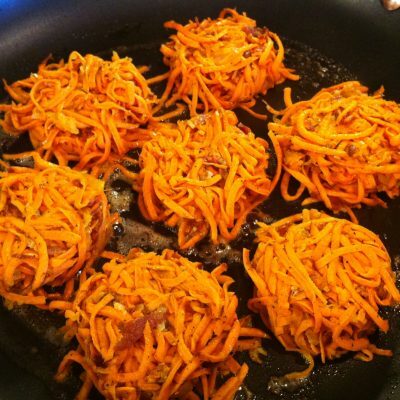 The Whole 30 helped me kick it, but once I started to reincorporate foods I struggled. That’s the good thing though – once you know what the Whole 30 is and what Paleo is, you can always get back on track. I tend to go with the older resources to avoid the confusion on new processed foods too – especially with my attraction to sugar. It’s best to stick to stuff from the earth for me! I’m excited to go read about your husband’s journey because I have similar skin problems while strictly following a paleo plan. (Which is one reason I probably fell off the wagon). Super glad to hear that, Kalee! I am seriously considering committing to the Whole Thirty. Somewhat apprehensive and I think that may be my ego fighting with the restrictive requirements of the plan. Do know from a past experience with Paleo that wheat and most grains are no-nos for me. Also, is the Whole Thirty compatible with acid reflux sufferers? Think I am needing a little push here. Thanks! Hey Bennie…the way I see it, you’re either going to commit or you’re not. If you try to decide and agonize over the decision, it’s never going to feel good doing it. I like to go with my gut in cases like this. It’s almost always right. (And yes, people with acid reflux have reported relief while doing Whole30 but of course, your personal experience may vary.) It’s worth noting the Whole30 also has a very active, very large message board where you can find other people with your concerns to ask how they handled it. I’ve read a lot saying that the scale doesn’t matter and that nsv are better I wish that was the case for me I really want to lose weight and I think everything else will come into place with that. With that being said can you tell me which program is better for weight loss? 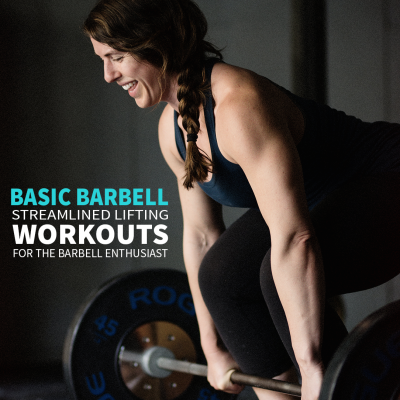 Hi Brandi…I really recommend reading this: http://stephgaudreau.com/weight-loss-health-gain/. Whole30 isn’t specifically a weight loss program, and neither is paleo. Both are about living a healthier lifestyle and learning how food affects you personally. Started whole 30 July, 2016. After the 30 days, I felt so much better, I just kept going! It’s now March, 2017 – I wouldn’t think of going back ! Food tastes better than one could ever dream – don’t even want the cakes, pies and other “goodies”, and processed foods are just a joke! The real kicker is the fact that all pain in my old (84 yrs) body is completely gone! If anyone’s interested, I’ll tell you how it all began. I clicked on the link to get your Guide to Clean Eating Challenges but none of the links work. Is there somewhere else I should look for it? Hi Julie…that guide has been retired. Sorry for the inconvenience.